If you want to learn about wild plants, there really is nothing quite like going out in the field with a group of other people who are interested in them too. This is the major benefit of being a member of the Sussex Botanical Recording Society, since it is a great way to learn and have a nice day out in the Sussex countryside, so join today! It is important to try and identify things yourself too, so it is worth getting a good book, and there are several good online resources which can offer you help and guidance. In addition, the Sussex Wildlife Trust runs several plant courses and events every year, and attending these can also be a good introduction to studying local botany. Choosing a book can be tricky since there are lots to choose from, and it depends what you best get on with. It can be useful asking other people (eg at field meetings) what they like and why, and try using a variety of books if you can borrow them, before making the decision to buy one (though you may end up with more than one…). The list below is not comprehensive, and gives a guide to the various features of each. See also reviews of these and others on Dr M’s blog. 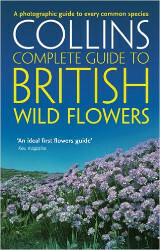 Paul Sterry Collins Complete Guide: British Wild Flowers, 2008 Smaller in scope since it concentrates on the more common species, it uses photographs rather than drawings, which is useful as a supplement to one of the other guides. 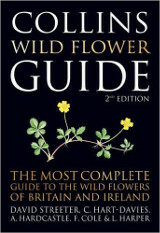 Marjorie Blamey, Richard Fitter and Alastair Fitter Wild Flowers of Britain and Ireland, 2nd edition 2013 Not quite as comprehensive as David Streeter’s book, but it does include thumbnail distribution maps. 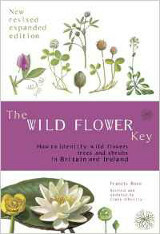 Francis Rose The Wild Flower Key, revised edition 2006 First published in 1981, this is a classic reference work loved by many students, and is a great solid introduction to identifying plants. SBRS Facebook group Our own Facebook group, where you can share your pictures and thoughts on botany in Sussex, ask for help in identifying plants (in Sussex! ), or talk about other aspects of the Society. As with all Facebook groups, you will need to have a Facebook account to access it. iSpot A fantastic resource created by the Open University. You submit a picture of something you have seen, together with some details (eg location, date etc), and someone will normally manage to identify it for you. Clearly, the better the picture(s) you take the more likely you’ll be able to get a positive identification (though that may not be possible from a photo). You can also try to identify it yourself and then the community of users will let you know if you are right. 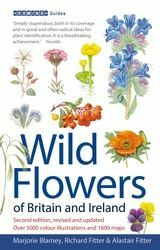 Wild Flowers of Britain and Ireland Facebook group A similar sort of thing to iSpot but just for wild flowers in Britain and Ireland. It can be a bit more discursive than iSpot. Botanical Keys and How to Use Them Facebook group Another really useful Facebook group, which explains some of the terms you will come across in the books, and walks you through the process of identifying often quite common plants using the keys in the most heavily-used field guides. The Wild Plant Group UK & Ireland Facebook group Much like the Wild Flowers group, it can be useful for confirming identifications, or providing you with information about what to look out for. Dr M Goes Wild The website and blog of Jonathan Mitchley (“Dr M”) who teaches botany at the University of Reading. Lots of useful tips and pointers on identifying plants, as well as book reviews and much else. Please let us know if we’ve missed your favourite book or resource and we’ll add it in.